Root Canal Therapy is mainstream care in 2017. 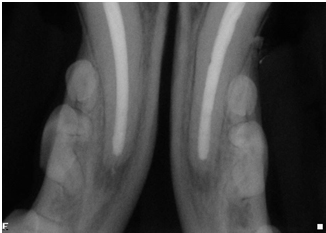 Extractions are not always the correct treatment of choice when a non-invasive root canal can return your pet to a normal life within 48 hours post endodontic care. Worn teeth, cracked or fractured teeth, discolored teeth affected by pulpitis; caries [cavities]; and teeth with other pathology of the endodontic system [the important canal within the tooth] can be root canal candidates.